Road Pricing: Manila can support two competing toll roads? 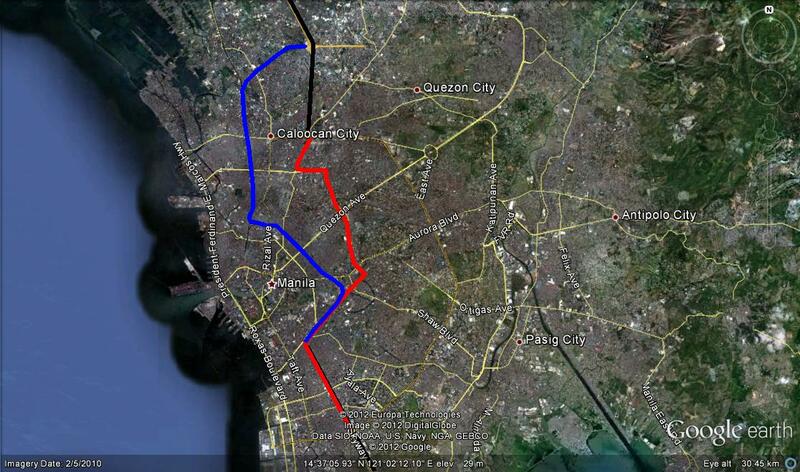 Manila can support two competing toll roads? METRO Pacific Tollways Corp. (MPTC), operator of North Luzon Expressway (NLEx), believes that Metro Manila is big enough to support two planned connector toll road projects linking the northern and southern toll gateways to help ease traffic conditions. MPTC President Ramoncito Fernandez countered concerns that the P35-billion toll road project had become less feasible following the government’s unexpected decision to approve both its proposal and that of rival San Miguel Corp. (SMC) and partner Citra Metro Manila Tollways Corp. of Indonesia, which use a different alignment. While Fernandez conceded that the original assumption was for only a single connector road to operate—in this case a 13.2-kilometer elevated road over the Philippine National Railway tracks —he said MPTC and SMC will be serving different markets. “Since [our project] is connected to the harbor it serves more the logistics part of the business plus the people who travel from north and south and vice versa. [SMC’s] market, from what I understand, will be local travelers,” Fernandez told reporters at the sidelines of the Institute of Corporate Director’s 9th annual dinner in Makati City on Wednesday. 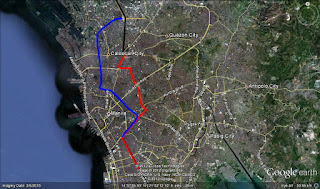 “We believe the country can afford two [Metro Manila] connector roads,” Fernandez said. MPTC’s connector road will effectively link South Luzon Expressway (SLEx), recently acquired by the San Miguel-Citra partnership, with NLEx as well as MPTC’s harbor link project. The SMC-Citra connector road is a 14.2-km elevated tollway that will also connect SLEx with NLEx. The project, an extension of Citra’s Skyway project, which currently ends in Makati City, will reportedly run parallel to Metro Manila’ main highway, Epifanio de los Santos Avenue. While tracing independent alignments for the most part, the two projects will share a common 3-km route, which would be jointly built by MPIC and San Miguel-Citra, Transportation Secretary Manuel Roxas said last week. Fernandez said he expects MPTC to be awarded the project by year-end following a competitive or “Swiss” challenge. Completion is expected by 2015, the company earlier said. The proposal by San Miguel-Citra, meanwhile, will not be subject to any competitive challenge. Roxas explained earlier that MPTC’s project is considered an unsolicited bid while that of San Miguel and Citra already has an existing franchise to build as part of the Skyway extension. As you can see above with my depiction, the overlap is in the south, which will be interesting (will there be parallel or stacked highways?). The blue proposal essentially would be built on top of an existing rail corridor, the red proposal mostly above an existing wide boulevard. These, combined with the Epifanio de los Santos Avenue ring road, will mean there are effectively three bypass routes across Manila. Traffic volumes are probably likely to support the two new ones given scope for more after this construction binge will probably be zero without tunnelling. I don't doubt that given the state of traffic in Manila, that these roads will get well used, but the point at which Manila is "built out" in terms of it being too expensive to acquire land or corridors for more roads would appear to be getting closer. These roads are being built on top of existing railways and roads. Tolls will mean demand can be managed to hopefully ensure the roads remain free flowing. However, the obvious question will come, perhaps in 10-15 years time, as to whether Manila will need some form of congestion charging , as a more efficient alternative to building a fourth new highway corridor around or across the city. Meanwhile, tolls and private investment are enabling the city to build out highway infrastructure to try to cope with its growth.